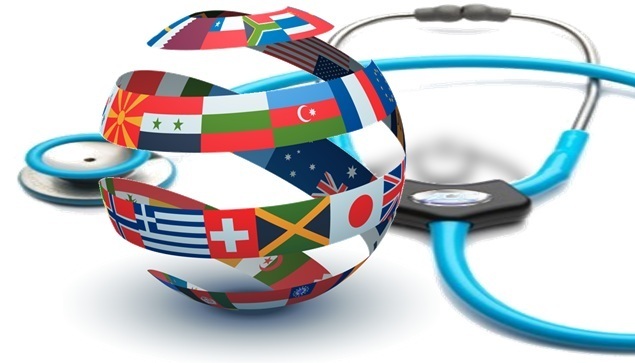 Health tourism is one of the developed forms of traveling around the world. While some countries experience lack of credible healthcare institution, prices for medicine in others force people to seek medical help abroad. This type of tourism is well developing in the modern world, as it combines health with pleasure: recreation combined with medical check-ups or treatment if needed. The CIS residents prefer Germany, Israel, Austria, Switzerland, the U.S. and South Korea countries whose medical institutions offer regular checkups, targeted diagnostics, conservative and surgical treatment and complex rehabilitation. Azerbaijan that is developing its tourism potential has a lot magnificent places to show to visitors. Turning the country into the international center of medical tourism is a win-win idea, as it will be profitable for the state and advantageous for the population. The country having a number of professionals in the field strives to provide its population with well-deserved medicine. “We have to make sure that people throughout Azerbaijan can receive quality medical care,” Azerbaijan’s President Ilham Aliyev said while opening the Nakhchivan Autonomous Republic Hospital last December. The head of state noted that despite the fact that some people travel abroad to receive treatment, Azerbaijan should aim to become a country, where people come for examination and treatment from abroad. The country has long-term plans to focus on further developing the medical facilities, which can be privatized, according to Deputy Prime Minister Ali Ahmadov. He noted that in recent years the government reconstructed and renovated hospitals and supplied them with the most modern equipment. Many health facilities have been renovated in the country. More than 500 objects related to this area were built and renovated in Azerbaijan over the past 10 years. The National Health Center is expected to open in Baku in 2016. However, Azerbaijan has all conditions to develop health tourism. Azerbaijani nature, which attracts several millions tourists a year, can also be healthy. The fresh mountain air, pure water, organic fruits of the Azerbaijani regions and beach recreation on the Caspian Sea Shore have already known among many tourists. The oil producer Azerbaijan also offers unique medical institution that treats with Naftalan crude oil, renowned for its curative properties. This center of medical tourism in Azerbaijan has unique natural treatments that cannot be seen anywhere else in the world. Medical specialists believe that this oil kills viruses, bacteria, and fungi. Numerous scientific studies along with more than 100 years of treatment experience confirm curative properties of this oil. Ashraf Hasanzadeh, PhD, surgeon, graduate of the First Moscow Medical University after I.M. Sechenov, said there is a prospect in turning Azerbaijan into the center of medical tourism. “There is a prospect and in some areas it is already topical. This applies to cardiovascular surgery, particularly surgery in Azerbaijan. This direction is at a high level. There are prospects in other areas as well and the price of treatment can be of a particular importance here. The price for treatment in our country is not very expensive. So, I think, certain results can be achieved if we work in this direction,” he noted. The special attraction of Azerbaijan is not only in price for treatment, Hasanzadeh believes, but also in the aspiration of the Azerbaijani doctors to learn and gain experience abroad. “Speaking of the neighboring countries, we can compete in a certain area with Iran, especially in terms of oncology. With Georgia, it is difficult to compete due to comparably lower service prices. We probably can leave them behind, but it will take a lot of time,” he added. Moreover, return of the Azerbaijani specialists who studied abroad could add incentive. The state has sent a very large number of different professionals, not just doctors, to study abroad, Hasanzadeh said, noting that he also studied in the framework of this program in Russia. “In general, in the coming years up to 1,000 physicians studying in Germany, the U.S., UK, and France will return to Azerbaijan with the most advanced technology and knowledge,” he noted. Speaking about the current situation in medicine, Hasanzadeh said it also depends on certain areas. He also noted a problem that is running into the lifestyle of Azerbaijanis, who refuse to anatomize dead body of their relatives. For this reason, it is very difficult to judge the causes of morbidity and mortality in the country. Hasanzadeh said that Azerbaijanis are free to go abroad for medical purpose especially with certain diseases which treatment have not succeeded yet in the country as compared to the best European, American or Japanese clinics. However, he believes that there are diseases where good results have been achieved in Azerbaijan. Now it is difficult to say that the whole system is well built, but the system is young, 20 years old, and it could not mature during this time. “Now in Azerbaijan it is difficult to say that the whole system is well built, the system is young, it is not mature yet. Today it is at the stage of maturity and there are certain medical conditions where success has been obtained,” he added. For instance, 10 years ago there were no specialists in Azerbaijan dealing with eye ground pathology, he said, while today there are at least two specialists who treat this disease at the level of the best clinics of Israel and Canada. Moreover, the price is lower. “The price is definitely lower, but even if the price is the same as there, people do not pay for the road, visa, and stay abroad,” he stressed.